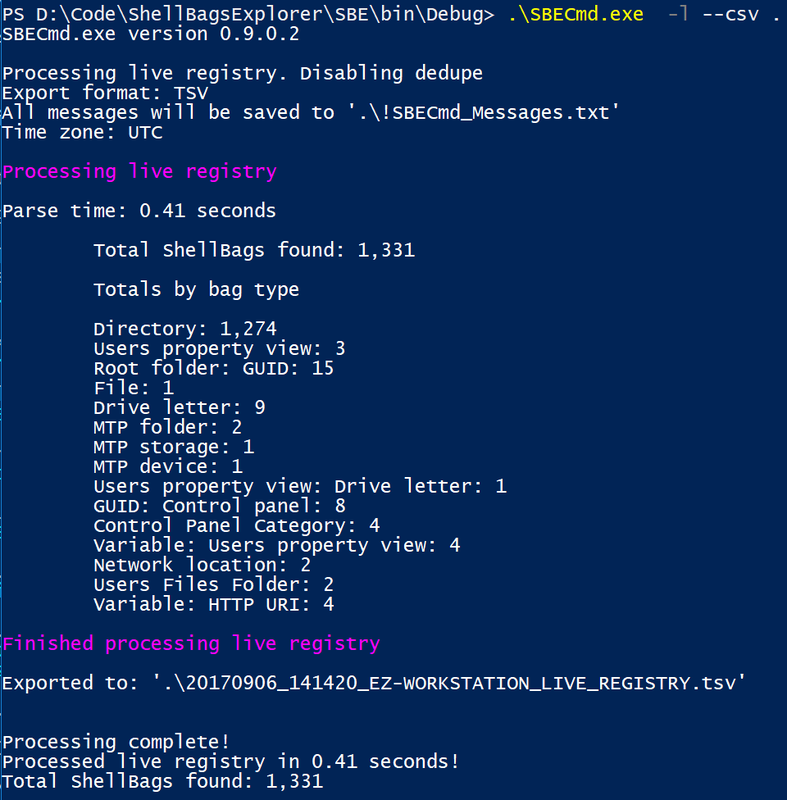 A new switch, -l (lower case L), tells SBECmd to process the live registry vs an offline hive. With this change, you must specify either -l or -d (but not both obviously). The name of the export file is based off the timestamp when SBECmd was executed as well as the machine name it was run on. In previous versions, SBECmd only looked at the directory specified via the -d switch for hives. This version changes that so that all directories are searched recursively for hives that contain shellbags. The full path to the hive is used for the output file so you can easily reference back to the hive where it came from. These tsv files can now be ingested into your tool of choice for further processing. Thanks to David Cowen for the live registry processing request! Someone else requested the recursive feature and I tried to find that request to give credit but I could not find it. Thank you too! 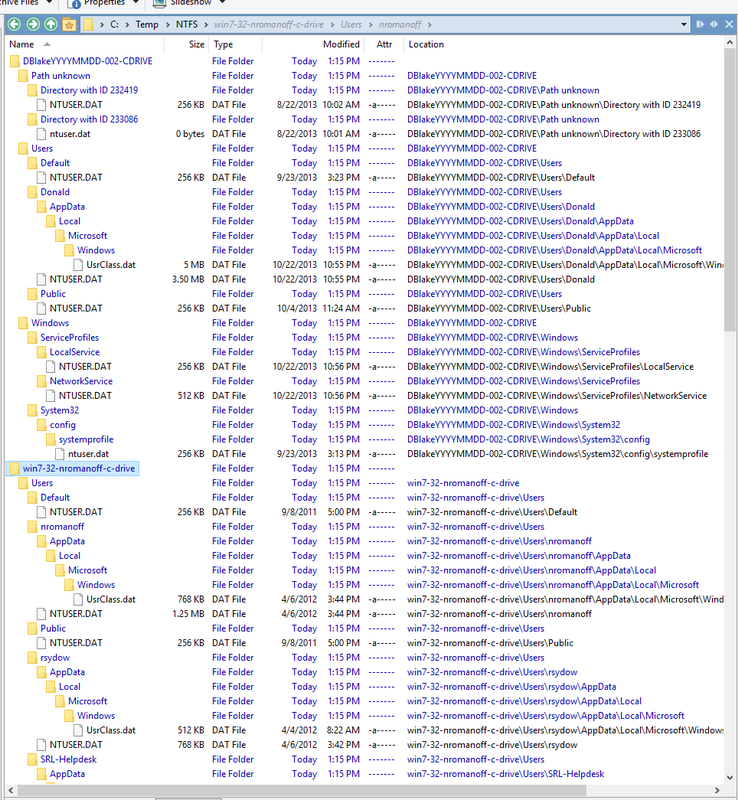 Related Posts of "ShellBags Explorer 0.9.5.0 released!"